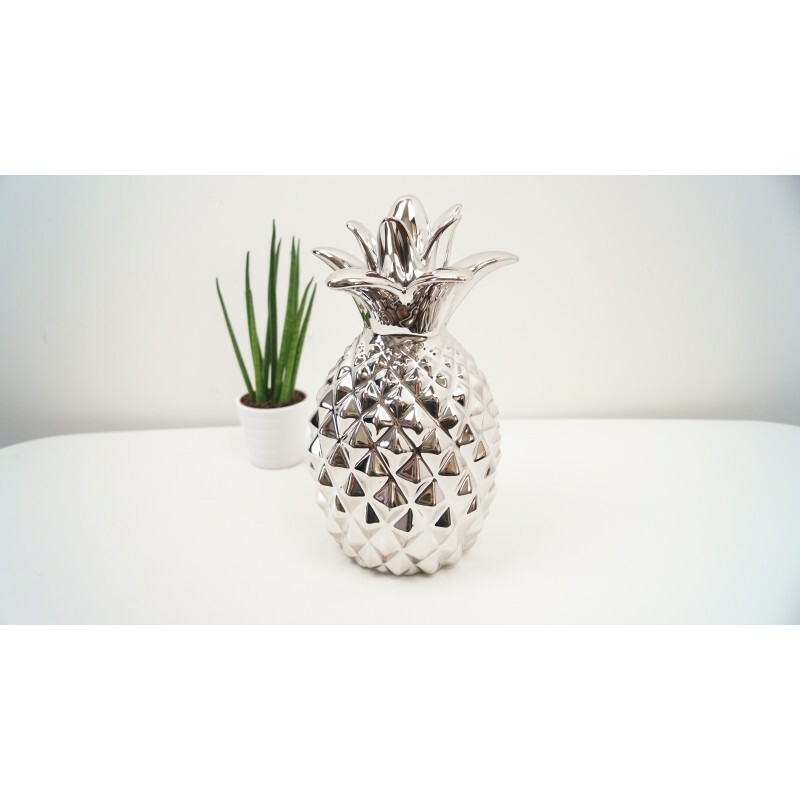 Ornamental pineapple in a modern silver finish. Made from Ceramic with high silver glaz. 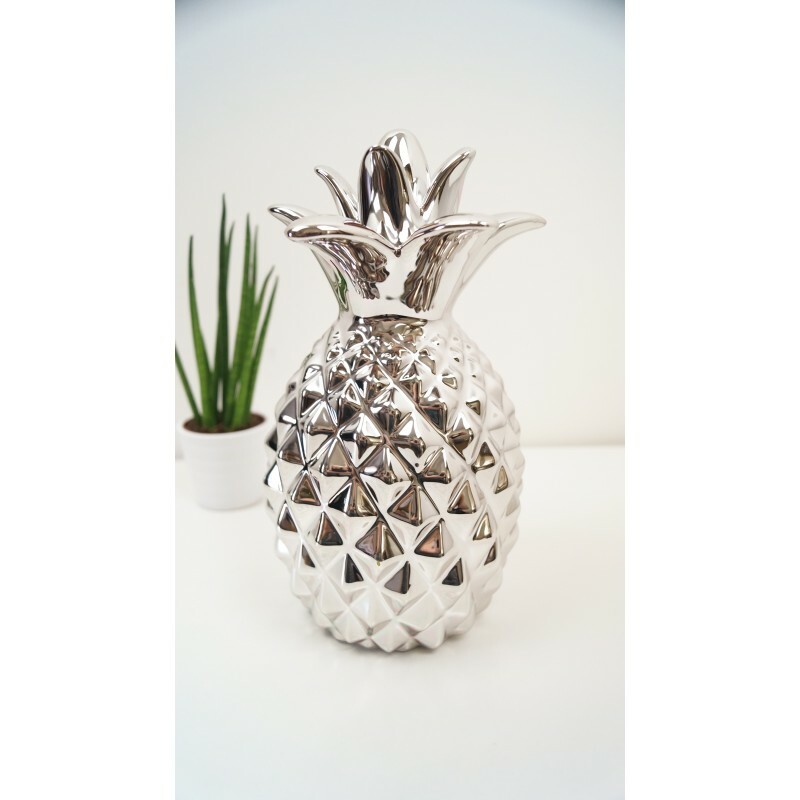 A chic and unique decorative home accessory.